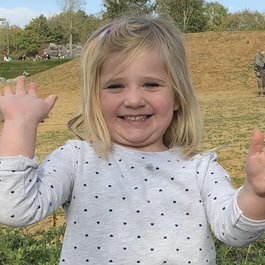 “Norah was born prematurely at 27 weeks in July 2018. Because of this, she had bleeds on her brain, which resulted in hydrocephalus requiring a shunt." “In September, 3 days before she was due to finally be discharged from NICU, her shunt site started to leak. She was transferred to a different hospital and was booked to have surgery for a new shunt four days later. But the day before her surgery, she became unwell and started showing signs of infection." “Tests were done on the fluid in her brain, and the results showed she had staphylococcal meningitis. 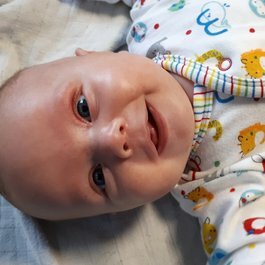 Norah fought the infection for 4.5 weeks, when she was finally given the all clear and could have her new shunt fitted. She was finally discharged home after 14 weeks and 5 days in hospital." “But three weeks later, Norah suddenly became very sleepy, off her feeds, and her eyes were rapidly flickering side to side. 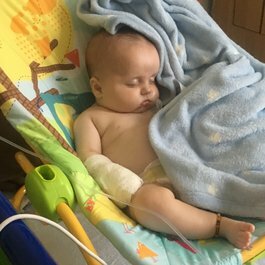 Concerned there was a problem with her shunt, she was taken to hospital, where blood and CSF (cerebrospinal fluid) results showed she had e.coli meningitis and sepsis." 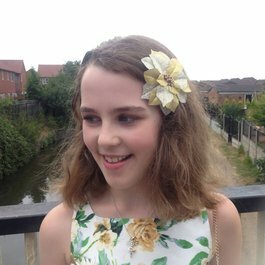 “She was rushed through for an MRI scan and the doctors told us she was extremely poorly and needed to be taken straight through to theatre to remove her shunt. But because she was septic, giving her general anaesthetic was very high risk. I kissed her goodbye and handed her over at the door and she was taken straight through to theatre. I had no idea if I’d ever see my baby alive again."